Addiction is something that can throw a serious wrench in any plans we may have made for the future. It also damages our intimate relationships, whether it be a husband, boyfriend, wife or a girlfriend. rates of marriage failure are over 48 percent higher among those affected by alcoholism. On another note – the gut-wrenching pain that comes from losing sight of who the person you fell in love with really is. Even though you’re with them physically – you can’t seem to remember the last time you actually saw the ‘real’ them and felt genuine love. For some, it takes months or even years to catch on to what the real issue is in the relationship. 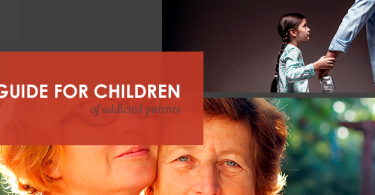 Unfortunately, during this time many problems can arise from living with an addicted partner. Is Your Spouse or Partner Addicted? If you’re here now, you probably have unanswered questions and we hope we’re able to offer you some insight. If you’re wondering any of these questions or similar – you’re not alone. Is my husband doing drugs behind my back? Does my boyfriend have a drug problem? Is my wife an alcoholic? Ignoring tell-tale signs of substance abuse and addiction in your relationship is all too common. Acknowledging an issue or problematic behavior is sometimes the hardest part of all of it. Is your spouse or partner is behaving in a way that is completely out of character for them? Perhaps your answer is yes, in this case, it’s best not to jump to conclusions – especially before you have all the facts. If your partner has told you of any issues with substance abuse in his or her past, the issue may be back. When analyzing the behaviors and wondering what is going on, keep a few signs of addiction in the forefront of your mind. Being able to tell if your spouse or partner is an addict or alcoholic is not simple. On occasion, the signs are blatantly obvious. However, other times our loved one’s behavior doesn’t seem to be pointing in that direction. Well, so we think. Is your partner doing less around the home or being lazy? Has your spouse or partners demeanor or personality changed? Does your husband or wife act distant or distracted? Does a ‘run to the store’ take several hours? Has his or her day-to-day schedule changed? Does your loved one disappear randomly at times? Are you having any unexpected financial issues? Is your bank account balance below normal, without explanation? When it comes to coping with a drug or alcohol dependence and having an addiction, the signs displayed are going to depend on the person affected. Everyone is different in mind, body, emotion, and spirit – so, therefore, are apt to handle addiction in varied ways. If you’ve found yourself in an uncomfortable position and unsure if substance abuse is the cuprite for the present problems in your life, hopefully, this will help you find some clarity. In general, signs of addiction involve physical, behavioral, social and psychological changes. Among the many signs of addiction to look out for, there are also questions to ask yourself that you may benefit from. A relationship where drug and alcohol addiction is present bring about financial, psychological and even physical consequences. Financial consequences of addiction usually stem from spending money on substance abuse and the non-addicted partner becoming the sole provider. In accordance with the Substance Abuse and Mental Health Services Administration – SAMHSA, psychological harms of addiction tend to begin with denial of the substance abuse and the non-addicted partner protecting the addicted one. Emotional distress in addiction-impacted relationships typically involve chronic stress, anger, fear, and feeling hopeless. Other experiences associated are shame, isolation, stigma, disregard for health and insensitive physical and/or sexual behavior. 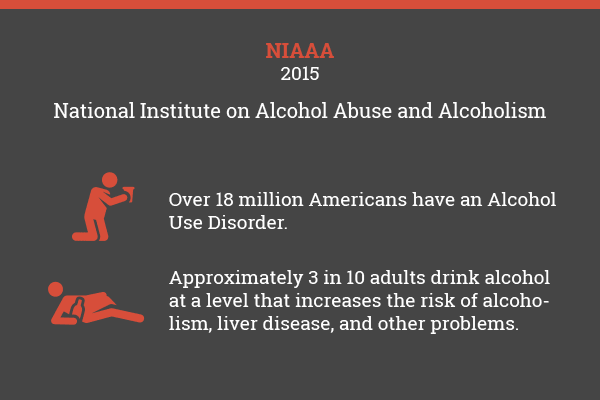 Substance abuse inflicts serious financial stress on many families. An addicted partner can be responsible for leaving their spouse or other family members overwhelmed, angry and drained. 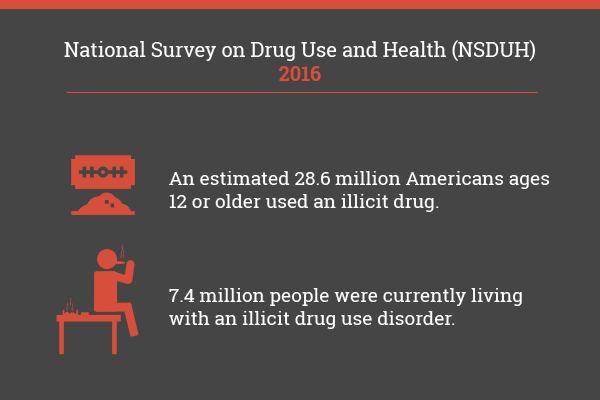 Because of the chaotic nature of addiction, people directly affected by addiction as well as a member within the household can struggle to uphold responsibilities such as obligations to work or school. Addiction creates a high level of stress within a home environment. For this reason, it is common for there to be a decline in both the psychological and physical state of health for substance abuser and their partners. Besides that – drug addicts or alcoholics tend to go through mood swings. Mood swings of someone under the influence of a substance can damage the healthy functioning of a relationship as well as put their loved one at risk for physical violence. Psychological consequences, in turn, brings the question the potential physical harms caused by addiction. If your partner is an IV drug user, you’re put at an increased risk of infectious diseases. Dysfunctional relationships don’t support or meet the emotional, intellectual physical or spiritual needs of those who are involved. This usually means that relationships that don’t function properly are toxic and harmful to the mental emotional and physical health of the contributors. Given that all couples are different, the level of dysfunction and toxic behaviors in a relationship are varied. Toxic behaviors and unhealthy relationships are interchangeable terms. Unhealthy relationships have harmful dynamics and behaviors that are draining on the people involved. There are many ways in which toxic behaviors often manifest in relationships affected by addiction. In relationships, these types of toxic behaviors can be extremely detrimental to a partner’s mental health and overall wellbeing. In much simpler terms, codependency being dependent on the control by or needs of another. Codependency is a well know dynamic of addiction in dysfunctional relationships and family systems. People who are codependent are more focused on the well-being of an individual than they are on themselves. Codependency is best described in the context of a helpless spouse of a partner who has lost and is unable to gain control of substance abuse, addiction, or unhealthy behaviors; in reverse- a partner who’s unable to leave the abusive or unsatisfying relationship. To overcome codependent behavior many people in relationships impacted by addiction go to CoDA – Co-Dependents Anonymous, a 12-step support group. Although CoDA is a group specifically designed to help people in codependent relationships recover from active codependence, there are other support groups available. Being codependent in relationships is highly dysfunctional and does help either person in the relationship to progress in a positive healthy direction. With that being said – a couple of concepts of overcoming codependency and finding freedom in recovery are self-awareness, self-acceptance and taking action. An unavoidable behavior in co-dependent relationships is enabling. So, what exactly does it mean to enable someone? To enable an addict or alcoholic is to support that person point that is not only toxic but saves him or her from experiencing any consequences as a result of drug and alcohol use. Ironically, an enabling partner in a relationship believe that they are helping their addicted loved one to get past their addiction; when in fact they are doing the exact opposite. Enabling a spouse or partners substance abuse contributes to the fatal progression of their drug and alcohol use disorder. According to the National Center for PTSD, enabling those we love stops them from experiencing the negative consequences of their drug and alcohol use. 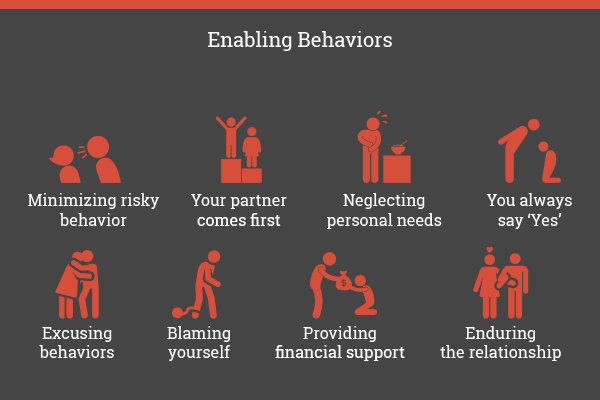 If you have a spouse or partner who is in active addiction and you want them to get help, stop enabling them. To stop enabling you’ll need to give up your role of helping, supporting, rescuing and protecting your partner from him or herself. To be effective in your efforts you will need to become aware of yourself and your behaviors. Up until this point in time – have your behaviors positively contributed to your long-term wellness. The very nature of a consequence is to encourage a change in someone’s behavior. Without repercussions of substance using actions, your partner will not have incentives to change. Self-awareness and behavior changes can be difficult, so here are a few suggestions. Be self-responsible – that’s it! The best way to help your spouse or partner with substance use and addiction is to reach outside of yourself for help. Even then – it’s possible that help sought from members in the family won’t be as effective as we’d like. In the event, this is your reality, do yourself and your partner a favor – reach out for help – contact a professional. Having an intervention for your loved one can be important and hiring a professional interventionist might end up being the best route. An intervention will happen with your spouse or partner along with family members and you as their significant other. If circumstances are out of control, seeking an intervention can help motivate your partner to get treatment. 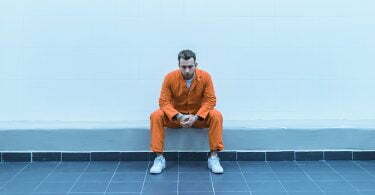 Get them into medically-assisted alcohol or drug detox facility for a safe withdrawal process. Medical detox helps reduce the severity and discomfort of withdrawal symptoms. During inpatient rehab, your partner will reside at the treatment facility. If you are concerned about being able to talk to your husband, wife or significant other while they are receiving care – don’t be. Most inpatient rehab centers permit visitation, phone calls, and counseling. Outpatient drug treatment will allow your loved one to live at home with you while he or she receives treatment services. A fundamental therapy method utilized by treatment centers for addiction is Cognitive Behavioral Therapy or CBT. CBT and other similar therapeutic treatments will help your partner learn to manage his or her emotions, thoughts and urges to use. 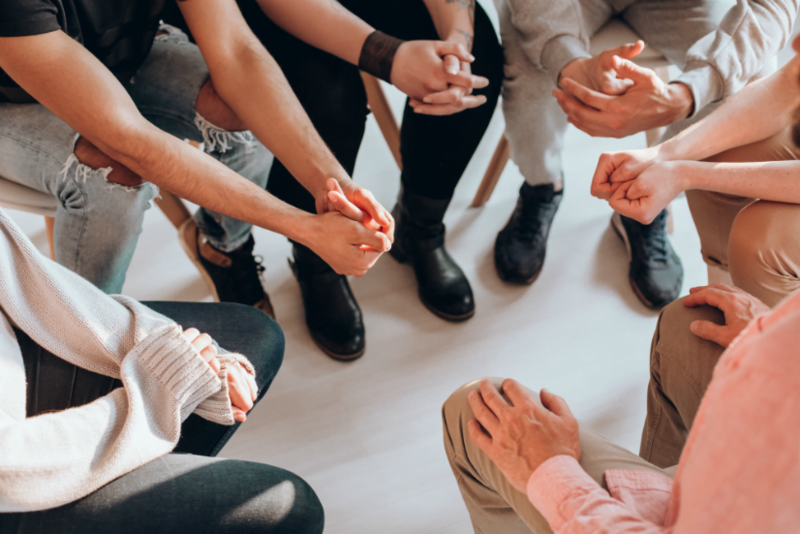 Support groups are a great way for both you and your partner to heal from the hardship and life-consuming nature of drug addiction and alcoholism. Most groups are 12-step based programs, but there are also non-12-step groups available such as SMART recovery. The damage caused by drug and alcohol addiction including domestic abuse, betrayal, dishonesty, financial ruin can be healed and repaired if its what’s wanted by both people in the relationship. However, the first stepping stone to healing is your partner’s willing admission to rehab for addiction. Three main things that will require the most attention after the completion and exit of rehab is a wise use of time, continual improvement of self and working hard. Addiction is a destructive disease that will ultimately end up destroying the love in and hope of any relationship. Saving a relationship by going to rehab is possible. Whether the disease drives a relationship to the point of breakup or self-destruction, it’s only a matter of time. With the evidence-based treatment methods presently available across all rehabilitation centers for alcoholism and drug addiction, there is hope you’re your loved one’s recovery as well as salvaging your relationship. An occurrence quite common – in regard to relationships and rehab are co-addicted couples. A co-addicted couple is two people who are in a relationship and are both struggling with a personal addiction. 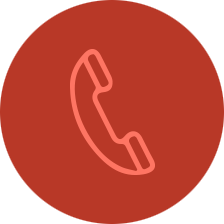 In situations like this, professional assistance is a core aspect of each person’s ability to recover and to be successful in recovery as a couple. When an individual completes treatment and has begun living everyday life in recovery from addiction, there is an adjustment period. So, the central question is – do relationships get better after rehab? The adjustment period, however, does not only affect one partner, it greatly impacts both people. In a perfect world, everything would go back to ‘normal,’ after rehab. Life would go back to how it was before addiction ever became a problem. However – recovering relationships from the chaos and damage of addiction is a process of dealing with unresolved emotions. 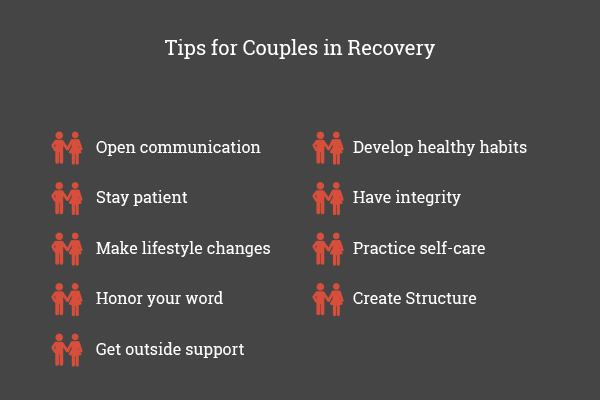 There are many focused couples therapy practices that can help with recovery from addiction for both people in the relationship. 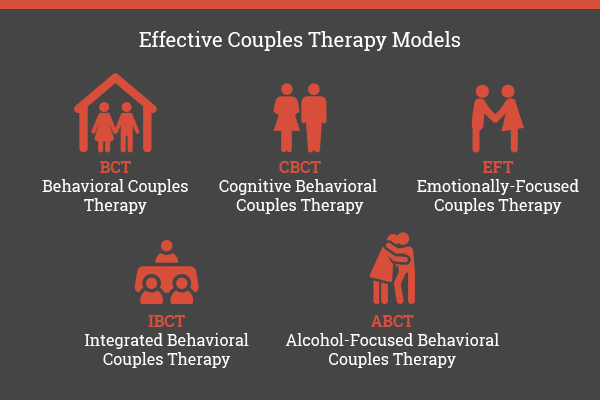 Couples therapy models for addiction are proven effective and beneficial. During rehab, it is common to have the option of doing family therapy sessions. Depending on the drug rehabilitation center you or your loved one goes too, will determine the extent of counseling that is offered. Even if marriage-specific counseling is an option during your partner’s treatment, seek services outside of rehab is highly recommended. Marriage counseling can help save your commitment – for better or for worse – to one another in more ways than one. When two people who struggle with alcoholism or drug addiction are in a relationship, several things can go wrong. The dangerous nature of co-addicted couples is the continuing progression of addiction and its number one driver – codependency. Fortunately, couples who go to rehab have a better chance of recovering and putting an end to codependent behaviors during their time in treatment. Breaking co-dependent patterns of behavior in a co-addicted relation is challenging to say the least. Due to the fatal essence of codependency in a relationship of two addicts, separating the couple is at times needed. The time spent away from one another is imperative to healing from unhealthy thinking patterns and behavior; thus, making the relationship more likely to last. Successful relationships involve two people who are able to live their lives independent from their partner. Bonds and commitments are ended every day because of an addiction to substances. Relationships are torn into pieces from deceit, dishonesty, infidelity, neglect, and abuse, etc. Ultimately, expecting things to go back to the way they were before addiction is unproductive. The past may be the past. Therefore, no longer relevant to your day-to-day life. We can’t go back in time and change any of it and we struggle to let go of all the betrayal and pain we felt at the expense of our addicted partner. On the other hand, broken relationships do have hope for healing. To mend and straighten out your relationship – moving in the right direction does require couples’ therapy or marriage counseling. Help from a licensed professional can assist in the start of living in recovery with love, trust, and forgiveness. When you get free from drugs and alcohol, your mind and life will start gaining stability. The more stable you get in recovery, your desire to work on and mending the damage will increase. During addiction, many of us tend to hurt those who are closest to us the most. Naturally, our actions in active addiction put many wives, husbands, or significant others in a deep state of disturbance and grief. Nothing good in life ever comes easy, so take it one step at a time. This distress and heartache often need time to properly heal. Fortunately – the beautiful thing about our partners is that they genuinely want to rely on and trust you again. It’s important to focus on your recovery and mending the relationship through action every day. With time, trust and companionship will work its way back into the relationship for both of you. Recovery doesn’t stop when your partner leaves rehab, it’s something that continues for a lifetime. In fact, recovery and requires the building of a new life. 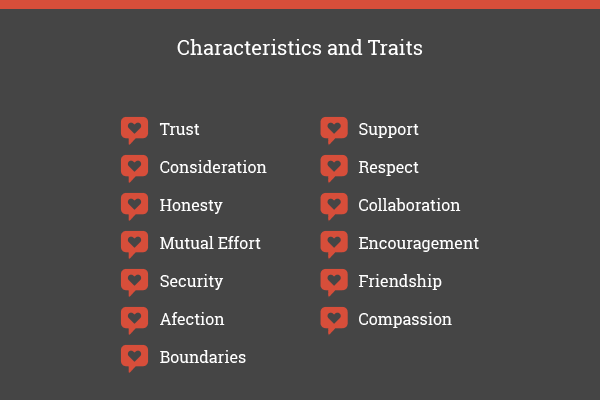 Relationships are a fundamental aspect of an individual living the best possible quality of life. Trust within personal relationships is a key component in creating healthy attachments and bonds with others. Furthermore, relationships provide a form of friendship, companionship and emotional support. This type of support is necessary for individuals who are new to recovery from addiction. To sustain life in recovery, having the presence of a healthy, respectful and loving relationship can help considerably. For partners who are new to recovery, functional behavioral patterns will make or break you. Then again, for significant others of someone who’s in the early stages of recovery, a healthful relationship structure is indispensable. Yes – the process will have its challenges, but there are many values that accompany hard work and the construction of a healthy foundation. The impact of relationships and family dynamics is imperative to the recovery process and maintaining efforts to heal from addiction. Being in a positive and encouraging relationship is beneficial for people who are battling with drug and alcohol addiction. Certain benefits help those in recovery to steer clear of toxic behaviors and attachments to negative relationships and patterns. Nearly every couple – married or not strives for happiness and health in a relationship. Fulfilling relationships are meant to bring acceptance, encouragement, and comfort to each person in the commitment. These statistic claims are scary. Being in a happy marriage, it has it’s natural difficulties, but I cant imagine being married to someone who is addicted to drugs or alcohol. 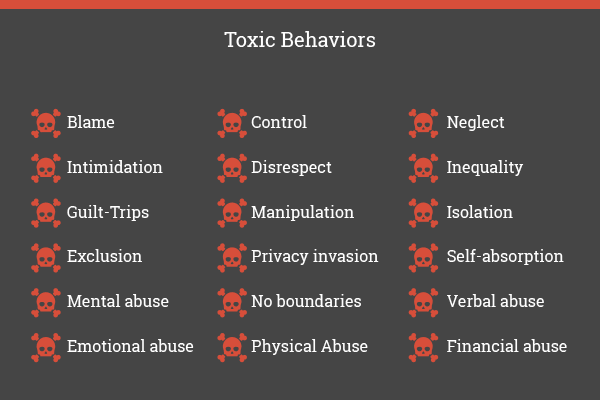 It’s so important to emphasize that abusive and toxic relationship behaviors not only come from physical abuse but emotional and mental abuse and arises in many different ways than we have typically thought of it. These are hard things to come to terms with but I’m glad to see that there’s more education and resources like this. This will be a huge relief and hope for spouses and partners whose relationship is hanging due to the uncontrollable and excessive intake of drugs and alcohol from a partner. Additionally, I have seen and read the testimony of spouses of how the “Family and couples therapy” helped them to achieve a much better and sustainable relationship. I can’t imagine how hard it would be to have a spouse or partner who was struggling with addiction and you felt like you couldn’t be there for them and help them out. 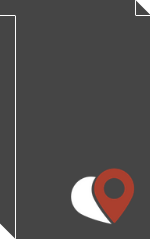 I really liked your tips though on how to not become an enabler or continuing enabling behavior. Are there any free drug rehab centers? Can a drug addict love? Are oxycontin and oxycodone the same drug?